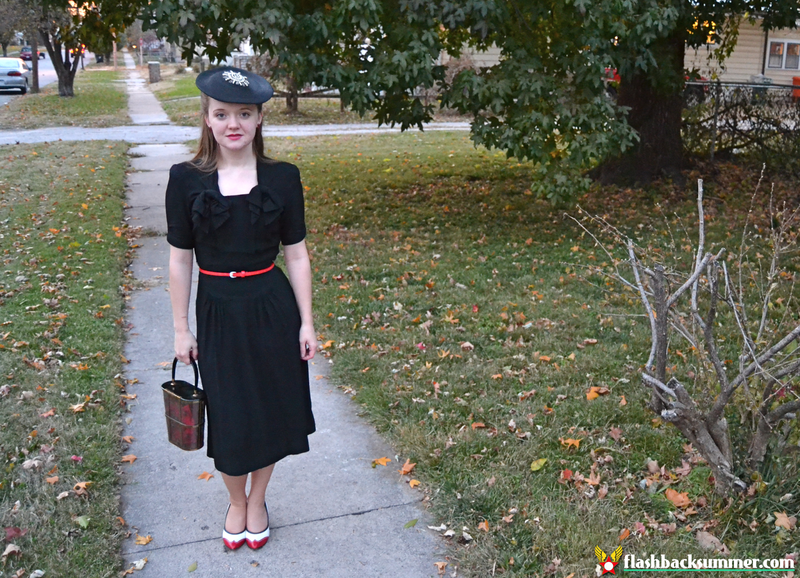 I've been searching high and low for a great 1940s Little Black Dress, and I have finally found it! I found this baby in a store in St. Louis, and when it fit perfectly I knew it was meant to be. I didn't even have to hem it! It has elements that are so 40s like squared shoulders, bust details, a ruching design below the waist, and it's made of a wonderful rayon crepe. 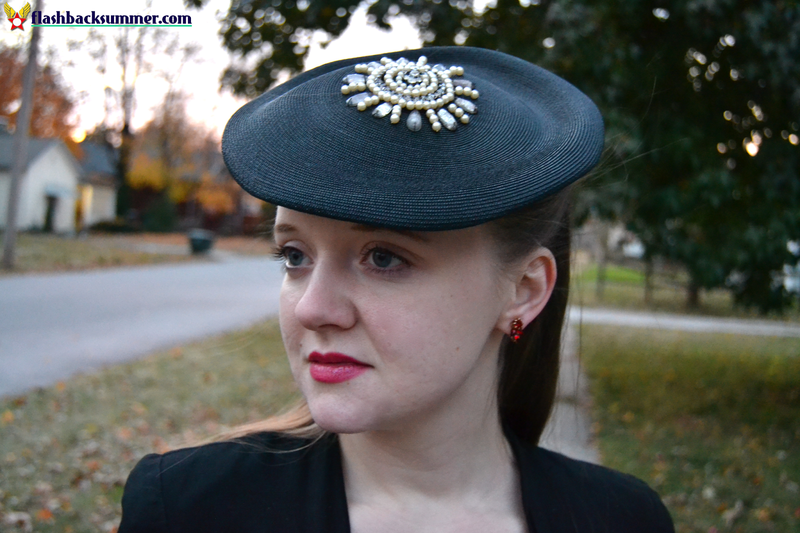 It's an easy dress to accessorize for everyday, and I imagine it won't be too hard to dress up, either! 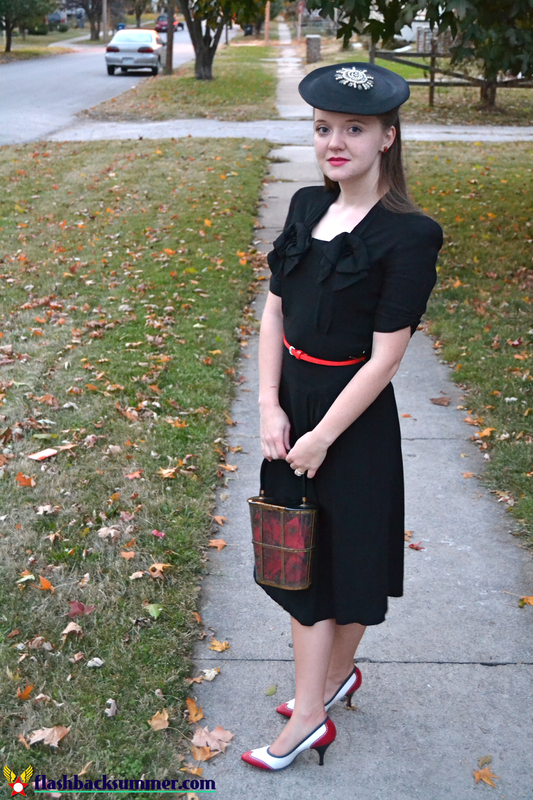 Do you have a vintage LBD you adore? Why is it perfect for you? You did indeed find the perfect LBD and NO alterations. That is pretty amazing! Everything about this outfit (including the lovely gal in it) is just perfect. I really wish we had more of a selection of vintage clothing in my small town in the frozen arctic. When something fits that perfectly and flattering, you simply must get it. Those shoes are such an unexpected surprise, they make me smile just looking at them. I have the same problem! I drove all the way to St. Louis to go to a vintage store, which is where I found this dress! My town has exactly one vintage store. Sad day. Oh my goodness, that dress is perfect!!! You look amazing in it, and I think over break, I'm gonna go looking for a LBD... or I could finish sewing up the one that's still hanging up in my room. Immensely elegant LBD. It fits you like a glove and is so timelessly gorgeous. I love how you've styled it here. Red, black and usually white or grey is practically my winter wardrobe, so I'll likely be sporting these same colours again soon myself. Love the dress but oh those shoes! I had no idea I had such a shoe fetish till following Lovebirds Vintage and her lovely shoe collection. Lovely dress, I like the neck details and the way you have accessorised it. I love it! The classic black dress is an essential part of a vintage wardrobe, and I love that yours can go either day or evening with the styling. 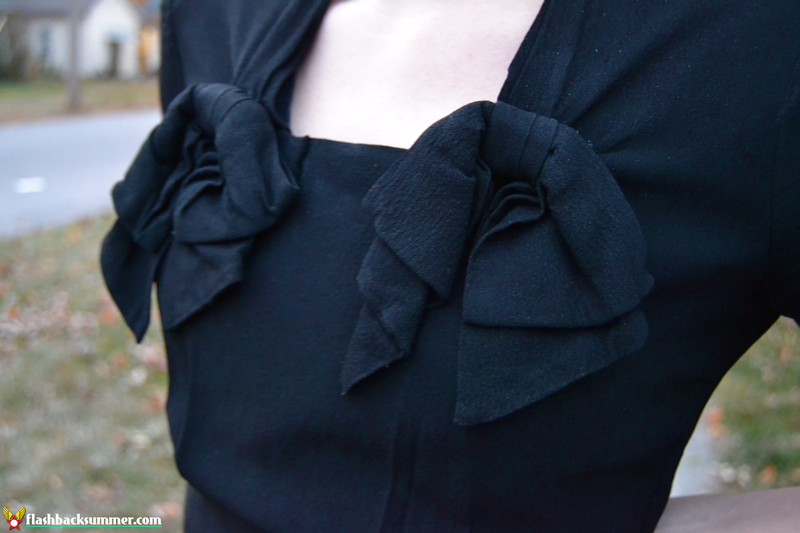 I always feel like my black dresses are a little too formal for daywear... it's always such a trick styling them!